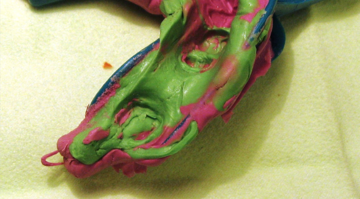 An accurate dental impression is essential for achieving a well-fitting, precision-made restoration that requires little or minimal chair-side time for adjustments. Without a good impression, it is virtually impossible to fabricate an acceptable restoration. Start by selecting a rigid, correctly-sized impression tray that is sturdy enough to support the impression material. Correctly and thoroughly apply the tray adhesive before taking an impression. 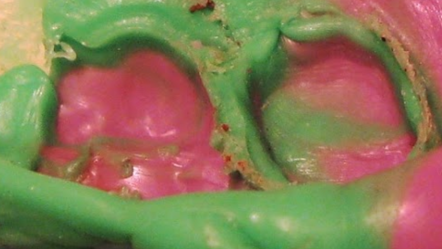 A strong bond between the tray and the impression material is essential, and it isn’t always easy to tell if the bond has failed and the material has lifted away from the tray. Following the manufacturer’s instructions for applying the adhesive will reduce this risk. Use a uniform, homogenous mix of light and heavy impression material to sufficiently fill the impression tray. Once the material sets, remove the tray and examine the impression for visible faults. Make sure the tray doesn’t show through the impression material, and check for visible voids and pulls on margins or adjacent teeth. If you see any missing or deficient margins, or if the impression has voids, retake the impression. Relining the impression to repair margins or voids will not achieve a decent impression, and the dental lab will reject the impression. We use an impression grading scale from 1 to 5, with 5 being an excellent impression. This straightforward system allows clinicians to determine precisely how good their impression is or to understand why we reject an impression. 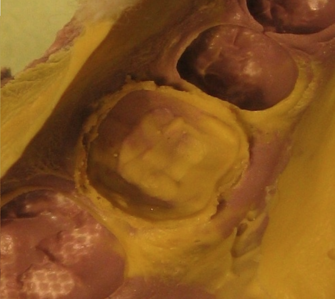 Impressions receiving a grade of 1 are returned to the clinician because they have obvious flaws such as missing or unverifiable margins, holes, or distorted axial walls. The impression lacks detail, and there may be poor adhesion of heavy body and light body materials. 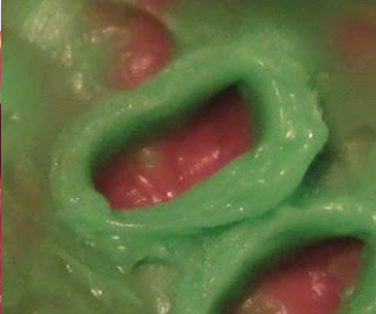 These impressions have sometimes been relined to fill discrepancies or voids and look usable, but they are not. 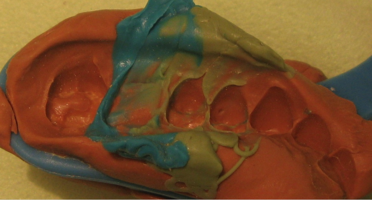 Fabricating a crown using a 1 rated impression results in ill-fitting or tight restorations. These impressions are rejected unless the clinician gives their approval for the work to proceed, perhaps because it is impossible to take a better impression under the circumstances. A two rating will have obvious flaws, like distorted axial walls, missing margins or holes, or poor adhesion of heavy body and light body materials. There could be evidence of tooth contact with the impression tray, or voids, tears, or pulls in the material. It is not advised to proceed with this type of impression. 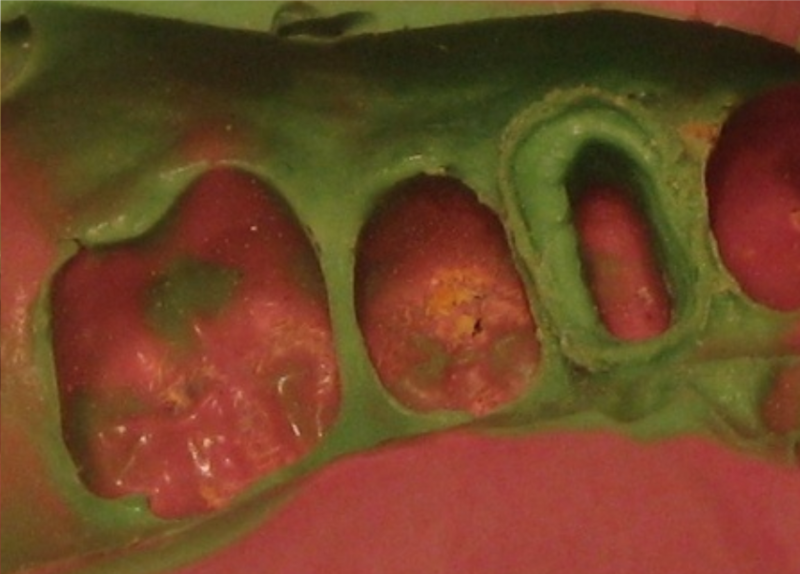 These impressions are repairable, as the prep is visible, and there are enough adjacent teeth or other landmarks for articulation. The margins are visible but may have voids or tears that are repairable. Teeth have not contacted the tray, and there is good adhesion of heavy body and light body materials. The impression rating 4 "Acceptable" has only minor voids or flaws and has all the prep area. There are enough teeth present for articulation. 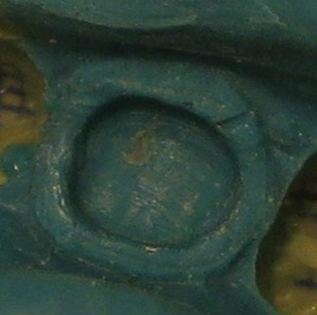 The impression tray is not showing through, and there is a good blend of heavy body and light body materials. If your impression receives a 5 rating, it is nearly-perfect with clear, well-defined margins, and at least half of the arch is captured in the impression. There are no voids, tears, or pulls. DDS Lab also accepts digital impressions, and an increasing number of clinicians invest in this technology. Digital impressions are produced using an intraoral scanner, and files are sent directly to the lab, improving turnaround times and reducing shipping costs. There are numerous benefits to choosing digital impressions, not least of which is a more comfortable procedure for the patient. 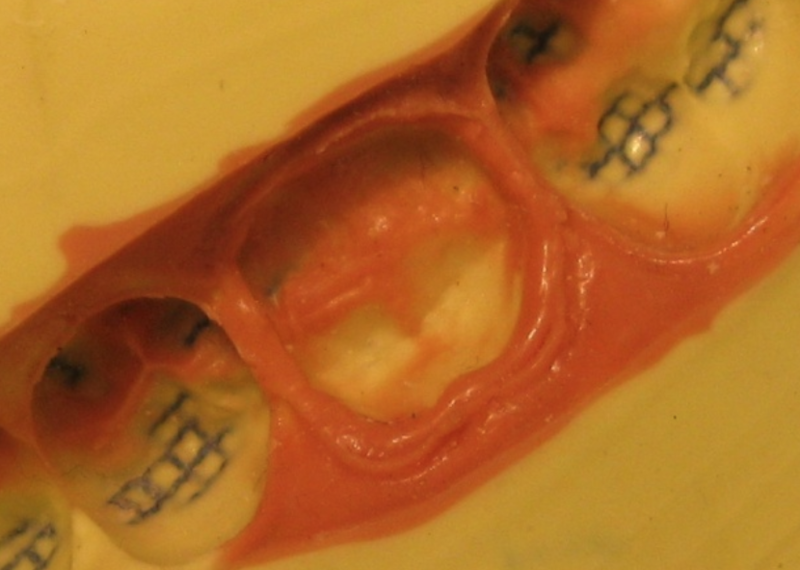 When done correctly, digital impressions reduce remakes since the marginal fit is precise. They eliminate the uncertainty of inaccurate impressions, as the impression is immediately checked on-screen while the patient is still in the chair. Dental procedures are more streamlined with digital impressions. There is no need to buy impression trays and materials, so the process also is more eco-friendly. Please don’t hesitate to contact us if you would like more information. Our skilled technicians have in-depth knowledge and are always willing to discuss specific cases.